Epistemology is the study of knowledge and justified belief. Do I even have an epistemological position as a learner? what impact would my position have on the way I teach? Epistemology is the study of knowledge and justified belief. As the study of knowledge, epistemology is concerned with the following questions: What are the necessary and sufficient conditions of knowledge? What are its sources? What is its structure, and what are its limits? As the study of justified belief, epistemology aims to answer questions such as: How we are to understand the concept of justification? What makes justified beliefs justified? Is justification internal or external to one’s own mind? Understood more broadly, epistemology is about issues having to do with the creation and dissemination of knowledge in particular areas of inquiry. As a student and teacher, my epistemological position believes that knowledge is acquired within a constructivist approach. My pedagogical methods of teaching are influenced by my epistemological beliefs and creating learning environments that facilitate participation, collaboration and context to prior experiences are practiced within my teaching methods. — (Jonassen et al, 1995). According to interpretivist belief, my learning experiences suggest that I acquire knowledge through a constructivist learning theory. What I have learned through gaining an understanding of my epistemological position as a learner, is that I learn best when actively participating in an environment with peers, teachers and technology to facilitate my own understanding of concepts and topics in context to my prior experiences (Jonassen et al, 1995). Learning in a participatory environment enables me to achieve a high level of academic achievement through asking relevant questions that enable me to think critically about a topic and solve problems. I also learn best within a collaborative environment where I can develop an understanding of knowledge through multiple intelligences (e.g. auditory, visual, kinaesthetic, digital etc…). Working in a collaborative learning environment, where the teacher facilitates and encourages social interaction and multiple intelligences, develops my understanding and construction of knowledge. Finally, I recognized that I learn best when knowledge is placed in context to my prior experiences and understanding of knowledge. 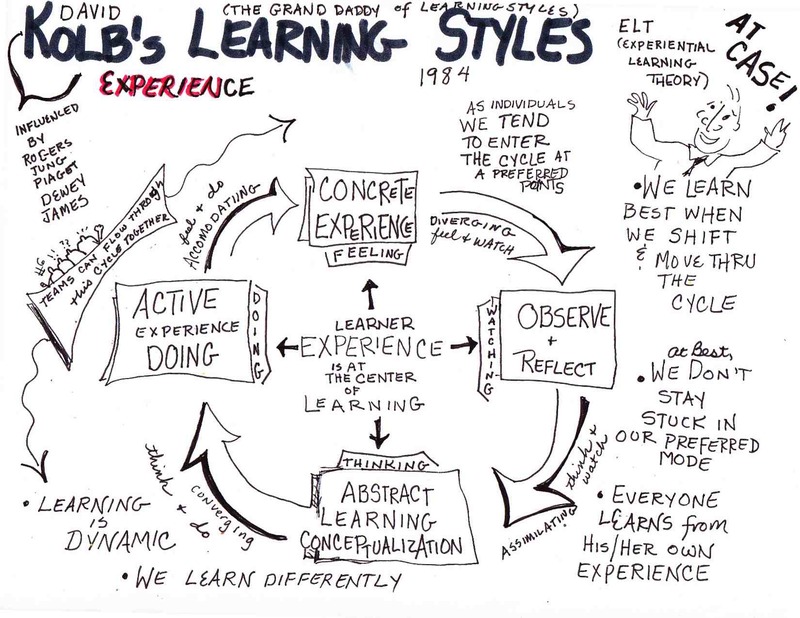 Engaging students with relevant and meaningful activities—while applied in context to the learner’s experiences—is necessary in a constructive learning environment (Duffy and Cunningham, 1996, p. 178). 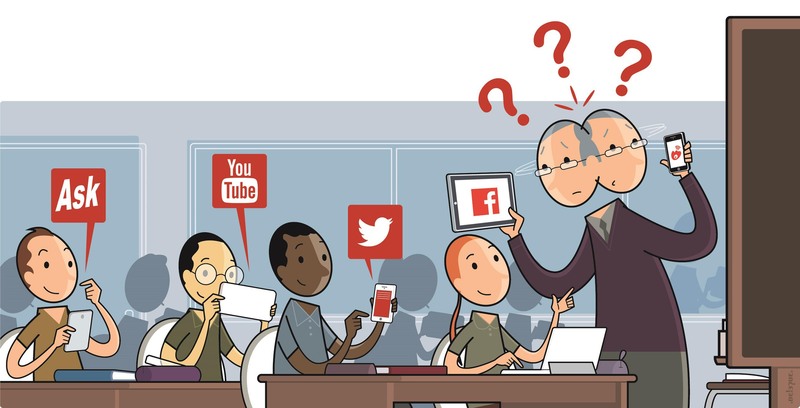 In media studies, I place emphasis on portfolio-based projects that give a holistic view of student knowledge rather than traditional behaviourist or cognitive theories that emphasize performance based and measurable acquisitions of knowledge. Therefore, “The student’s responsibility is to accurately comprehend, and reproduce knowledge handed down to him/her” (Bates, T, 2015, p.44; Bates, T, 2015, p. 47). Through these reflections, I am now aware of my epistemological influence within a learning environment. More importantly, I discovered that my beliefs in the ways which I learn dictates the ways in which I teach. My epistemological belief is that I acquire knowledge through a constructivist learning theory. Active participation, collaboration and learning in context have influenced the way I learn and teach. Using a constructivist approach for learning and teaching, have allowed my classes to become more dynamic and interactive within our digital culture. Duffy, T. M., and Cunningham, D. J., (1996). Constructivism: Implications for the design and delivery of instruction, In D. H. Jonassen, (Ed.) Handbook of Research for Educational Communications and Technology, NY: Macmillan Library Reference USA. Instructionaldesign.org,. ‘Constructivist Theory’. N.p., 2015. Web. 28 July 2015. Jonassen, D., Davidson, M., Collins, C., Campbell, J., and Haag, B.B., (1995). Constructivism and Computer-Mediated Communication in Distance Education. The American Journal of Distance Education, 9(2), 7-26. McLeod, Saul. ‘Behaviorism | Simply Psychology’. Simplypsychology.org. N.p., 2015. Web. 28 July 2015.
memegenerator.net,. 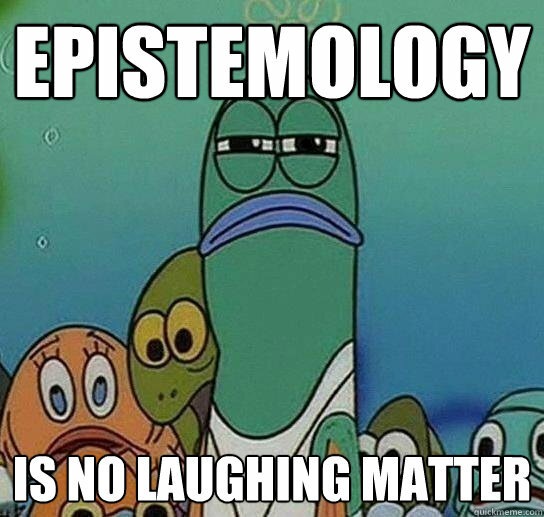 ‘Epistemology | Spongebob’. N.p., 2015. Web. 28 July 2015. Research-methodology.net,. ‘Interpretivism (Interpretivist) – Research Methodology’. N.p., 2015. Web. 28 July 2015. Shagdora.files.wordpress.com,. Kolb’s Diagram N.p., 2015. Web. 28 July 2015. Steup, Matthias. ‘Epistemology’. Plato.stanford.edu. N.p., 2005. Web. 28 July 2015. Teachinglearningresources.pbworks.com,. ‘Teaching And Learning Resources / Cognitivism’. N.p., 2015. Web. 28 July 2015. YouTube,. ‘Boring Economics Teacher’. N.p., 2015. Web. 28 July 2015.